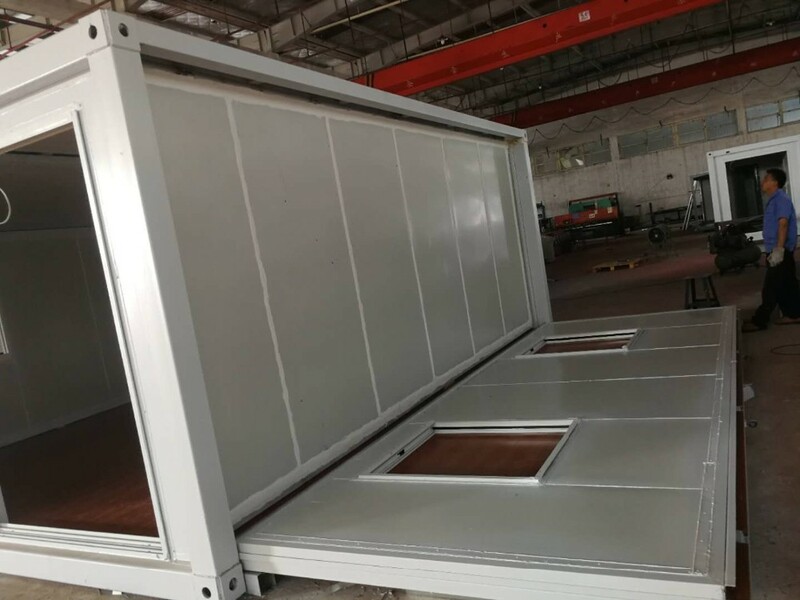 1.Easy to install:every people can install 25-30m2per day. 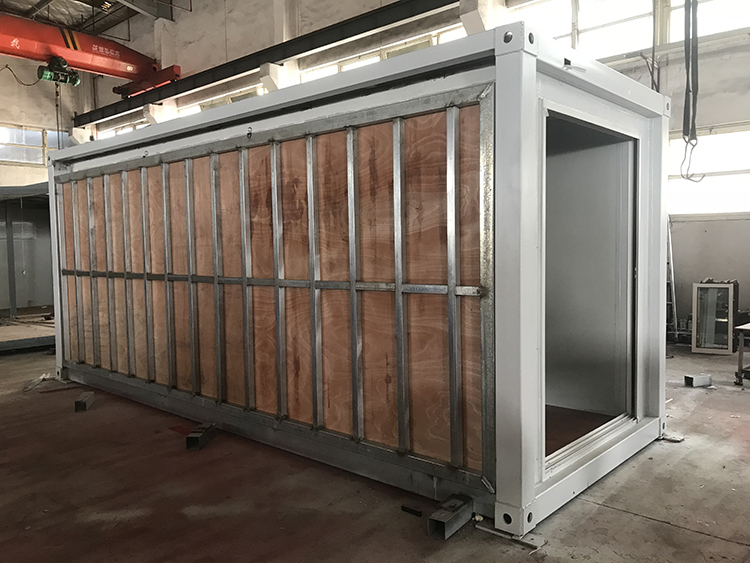 2.Easy to disassemble,every people can disassemble a 40-50m2house in one day . 3.Service life:15-25years for once assembly ,10 years for at least 6 times assembly. 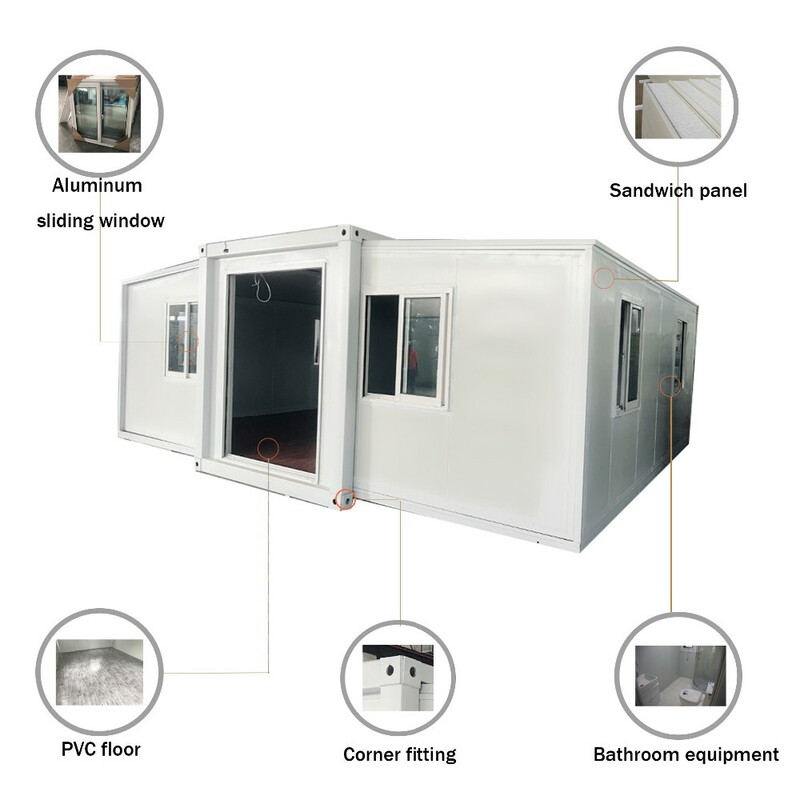 7.Nice capacity of water proof .moisture proof and heat insulation and sound insulation. 8.Diversified Specification:Our design can be customized. The doors, windows and front and back walls can be exchanged each other. 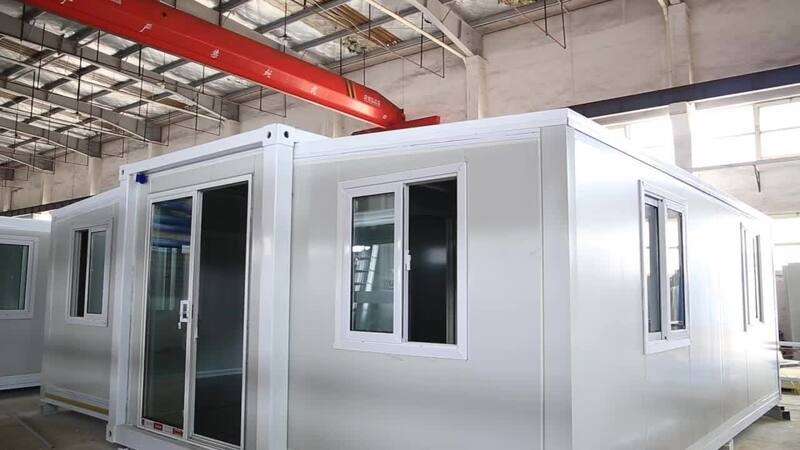 And the partition walls according to the customers' requirements. 9.Practical,good space utilization and high price performance. 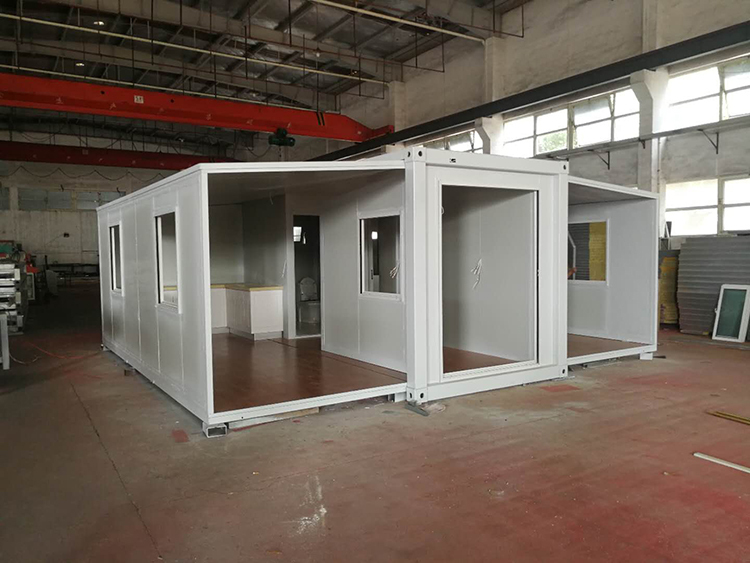 If you are interested in our Standard luxury folding quick assembly expanded container house ,please kindly provide to us your prefab house drawings or the following information,so that we can give you a better offer. 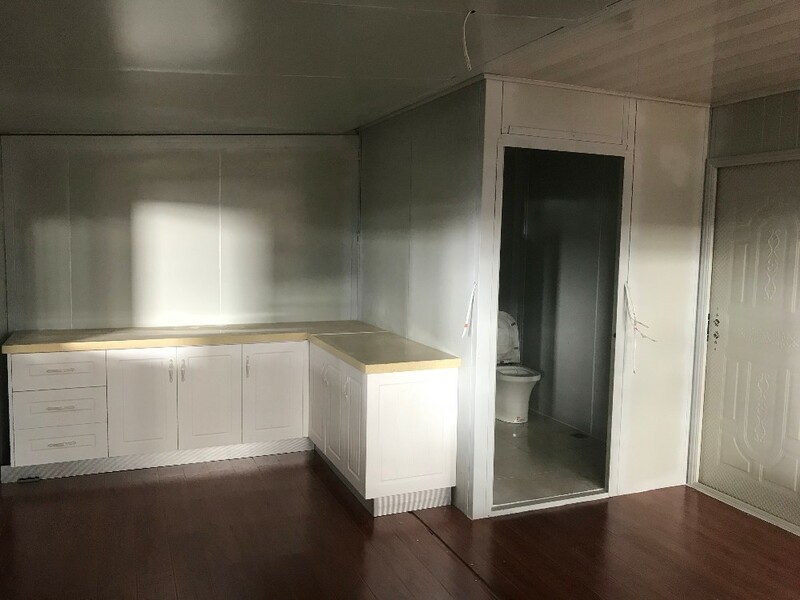 This kind of expandable house was designed for our Australian customer,when our customer wanted a small house for family living. It saved the installation and labor cost for him. 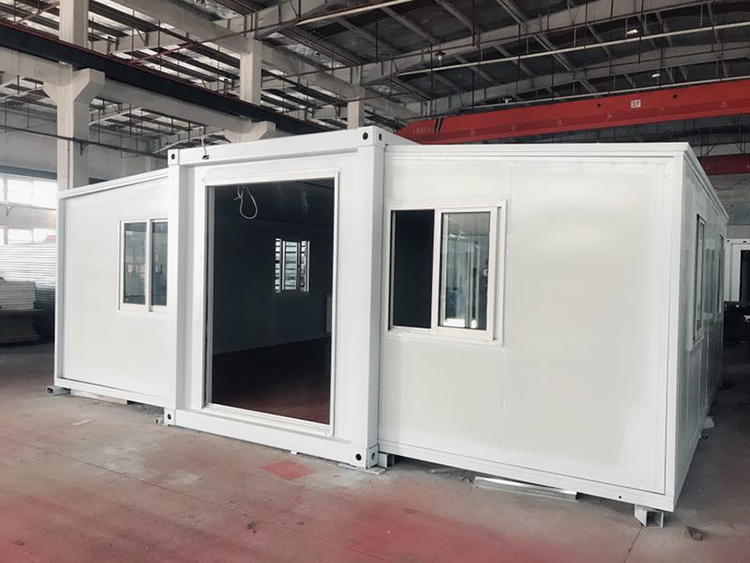 Now it is more popular not only in Australia but all over the world,we have already exported this kinds of container house to over 20 countries,such as America,News Zealand,Mexico,Japan,Malaysia and etc. 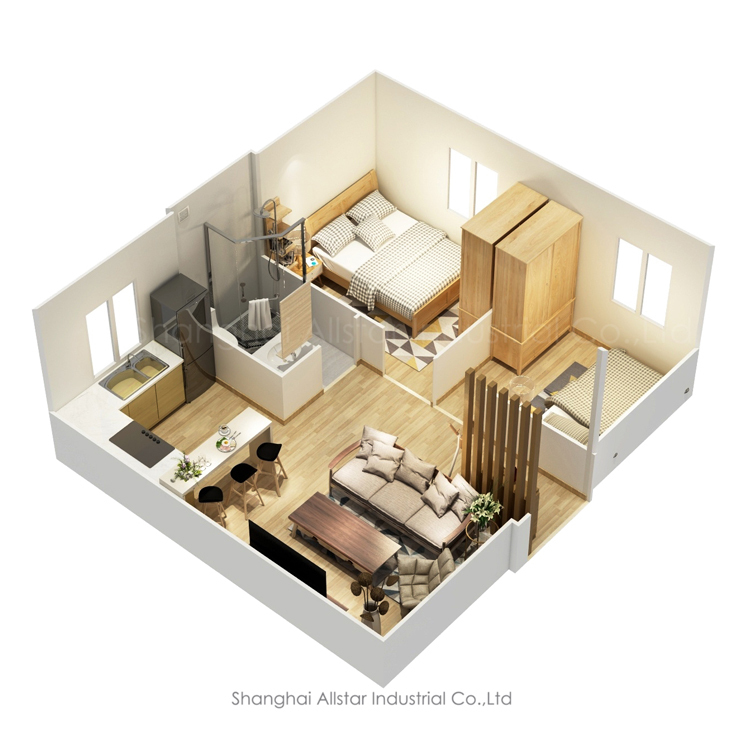 It is about 37 sqm and it takes one day for 6 persons to complete the installation.It includes one parents’ bedroom and one child’s bedroom. 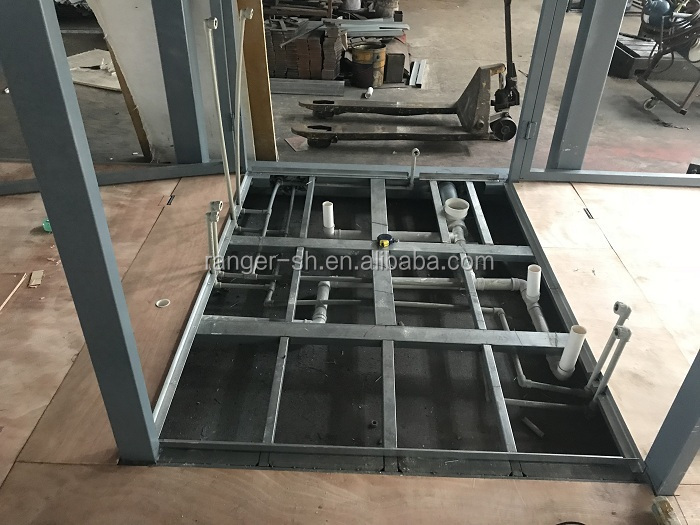 The toilet,paper holder,shower,sink,mirror,towel rack are all installed in our factory. 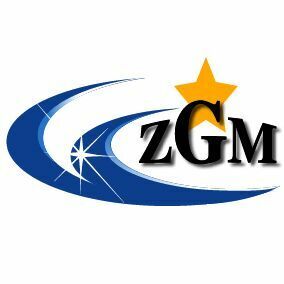 Customers only need to connect supply and drainage pipes locally. 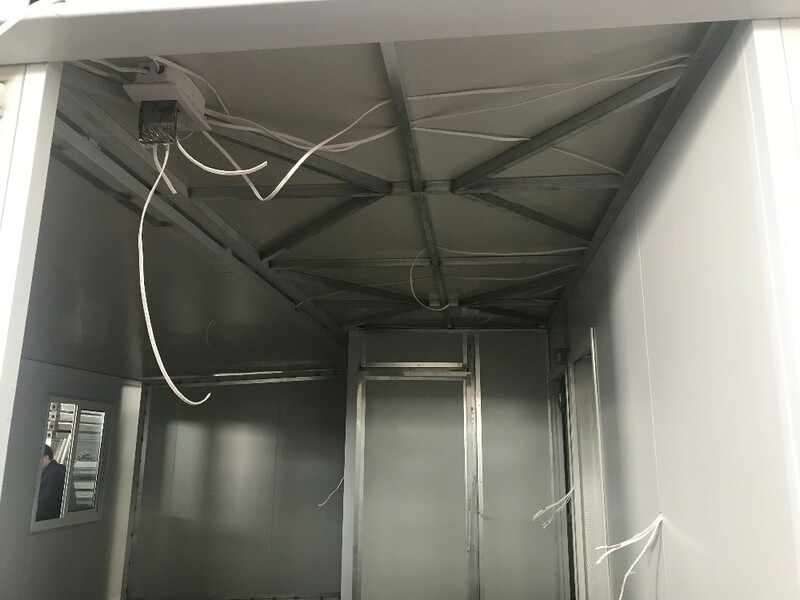 The kitchen is open,and we can customize the kitchen cabinets,.We can also provide range hood, oven, dishwasher and such electrical appliances if needed. There is enough area in living room to put down a table, sofa and tea table. The inside layout is optional based on your request. We can provide some appliances if needed such as air conditioning, refrigerator, dishwasher, oven etc.. If you think the white wall too monotonous, we have a variety of internal and external wall decorative boards for you to choose. We will try our best to meet all your requirements for housing with our professional attitudes.